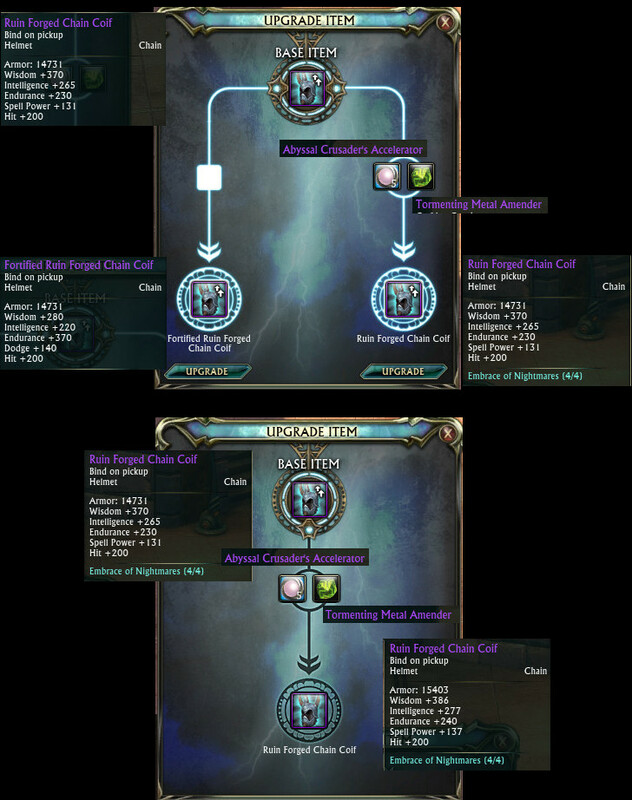 RIFT news tidbits for 29th October 2015. PTS Update + Datamining: T2 Store Weapons. PTS was updated on the 28th with Tier 2 bundles and separate Tier 2 store weapons. There’s also new Tier 3 ‘Store Items’ test packs via Master Mode Dummy Foundry. Forgemaster’s Inferno gets a feature image, and there’s a new red-fire Strider mount. More info here! Note: PTS was updated again today (29th). Contents of the Tier 3 ‘Store Items’ packs have been updated, and there’s also new ‘Dropped Items’ packs for Tier 3 raid-dropped gear. Data files contain 4 new icons that look like Dimension Key Bundles. Tier 3 Raid Currency is called Fragments of Darkness. Upgrades for T3 raid-dropped armor goes from base -> base + set bonus -> better stats + set bonus. The final upgrade is a similar ‘stat level’ to the base store-bought T3 armor. [Example]. Due to how little new info there is, I’ve added the 29th Oct update to the 28th’s article. Planetouched Wilds Concept Art. Senior Concept Artist Stephen “Drakcoon” Mabee uploaded a whole bunch of additional Planetouched Wilds concept art earlier this month. Check them out below! Seshatar’s “SBA: The Thunderdome Cup” Update [Contest]. Just a heads up that the prizes for Seshatar’s “SBA: The Thunderdome Cup” have been posted up. Sponsored by Trion, 1st Prize: 3x Power Pack + 3x 4th Anniversary Arclight Rider Mounts. 2nd and 3rd prizes are also 3x 4th Anniversary Arclight Rider Mounts each. Matches will be during Extra Life next weekend (7-8th Nov). More details and registration here! Halloween-Themed Dimensions. If you’re interested in checking out a whole range of Halloween-themed dimensions, check out a thread started by swordkata here where dimensioneers have been posting their spooky dimensions! The creator of spinderella on twitch with them. Ocho stated during worrisome fool twitch feed.